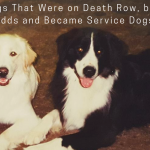 Jumping up is one of “those” problems…“those” problems that wind up with a dog in a shelter sitting on death row. I, honestly, don’t understand it. 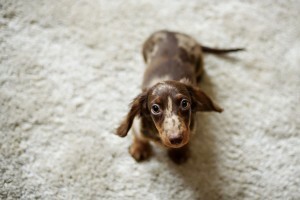 I have NEVER owned a dog that couldn’t learn to stay “off” people when they are taught properly. The problem is that most people are not spending that time teaching, and, instead, are getting frustrated and angry at an animal with a very distinctly different set of social norms. 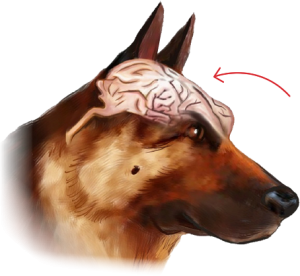 I think, first things first, understand your dog. 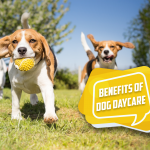 Dogs jump on each other for play and sociability. They even get in the face of those that scare them as a way of being submissive and acquiescing. They are a separate species with separate social norms. 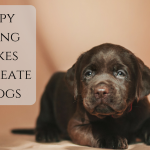 They do not spring from their mother’s womb understanding human social norms or expectations. 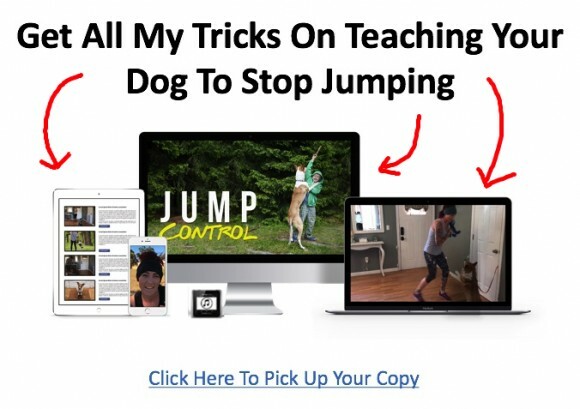 If you want your dog to refrain from jumping, it is going to require you to teach him. If this is a problem with your family, I recommend you sit down as a family and discuss it. 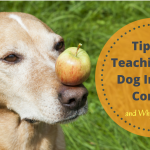 If you need help understanding clicker training click here. When I was training Service Dogs, we would teach them to lie down when greeting people. It is impossible to lie down and jump at the same time! 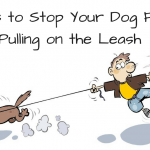 Leashes, actually, prevent this problem completely! It is the best way, not only to prevent the problem, but also to keep it from continuing! 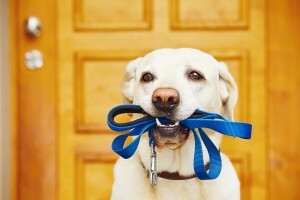 If you put your dog on leash, you can prevent the dog from jumping on people (including yourself). 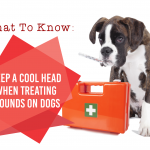 I recommend putting a leash by your front door and snapping it on your dog prior to people coming inside. 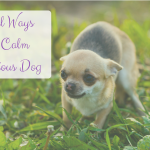 I, often, also recommend typing out and laminating a small sign that says “Please be patient while we put our dog on leash and get his behavior under control. We will be with you momentarily”. 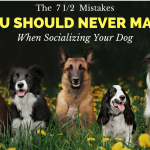 This shows family, friends, and acquaintances that you take your dog’s behavior seriously and will help them respect your desire to keep your dog off them. 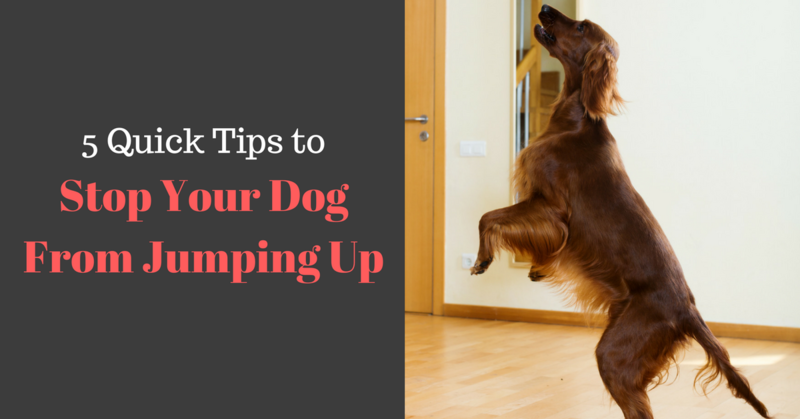 The consistency will also help your dog to learn that he can never jump on people! 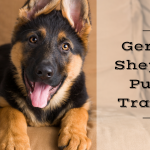 Previous Post How to Stop Your Dog from Barking at the DoorNext Post How Do I Get My Dog to Stop Jumping Up?